FUN & FOODS FROM ALL INDIAN ORIGINS CLOTHING, JEWELLERY, FACE PAINTING, HENNA, GAMES, & MUCH MUCH MORE..
Come out and join your community! Come shop this market of happiness and do not miss your chance to have great festive fun while also indulging in foods of multiple cuisines from all parts of India! Deity sarees that were used to decorate the Deities will be auctioned during Anand Bazaar. Last year we have had a tremendous success and this year we have set our goal to raise at least $700. If you are interested in being a youth volunteer for the Ripples Car wash, please email [email protected] (you must be atleast in middle school to volunteer). Bring your kids, friends, and family – and share great collective outdoor spirits – along with socializing with all your friendly community members. 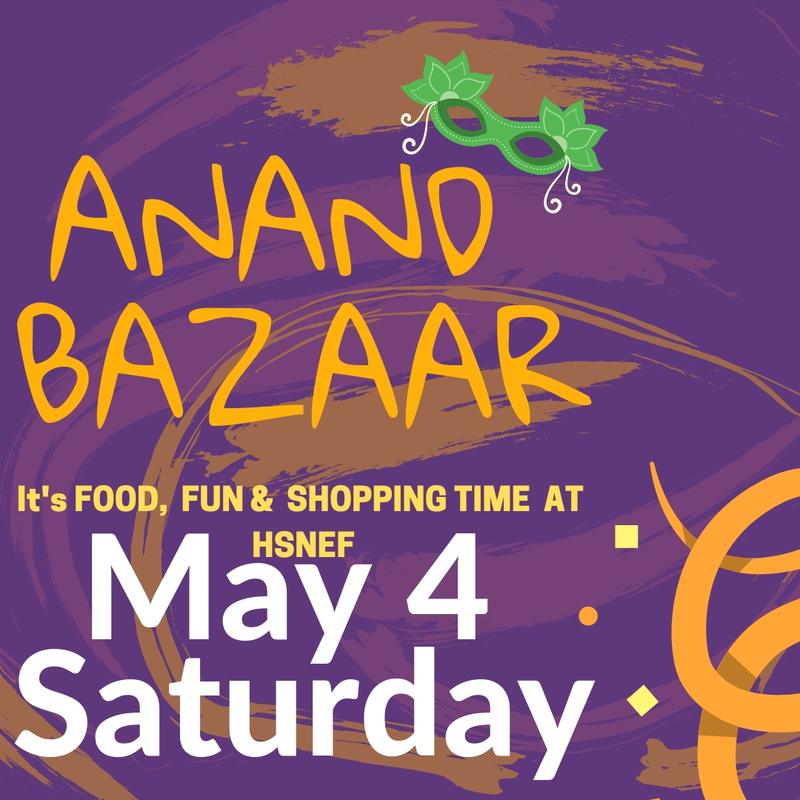 HSNEF is pleased to invite you at the Anand Bazaar 2019 held on May 4th from 10 am to 3 pm.